Yesterday, I posted about Monday night’s Langley City council meeting, including what is being done in Langley to reduce the number of people who are experiencing homelessness. Today, I will be covering the remaining items that were on the agenda. In manufactured home parks, there are tenancy agreements. The provincial government makes available “A Guide for Manufactured Home Park Landlords & Tenants in British Columbia” if you want to learn more. If an owner of a manufactured home parks wants to redevelop a site, they must have all necessary permits and approvals required in place before giving twelve months notice to end a tenancy. Municipalities have no authority to make regulations relating to manufactured home park tenancies, this is defined in provincial law. Some municipalities with a significant number of manufactured home parks do have policies in place around redevelopment of these sites. For example, the Township of Langley has developed a policy. Langley City has one lot with seven manufactured homes. As such, the City doesn’t have a policy to guide the redevelopment of this one lot. 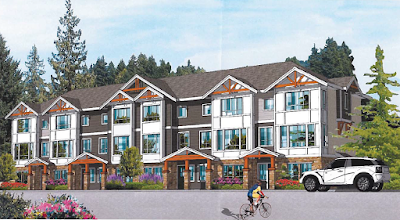 Janette Giffin, who is currently a tenant in the manufactured home park, made a presentation to City council about other communities’ policies on Monday as part of the public hearing for rezoning the site to accommodate a 14-unit townhouse project at 19753 55A Avenue. After the public hearing, council gave the rezoning application third reading. 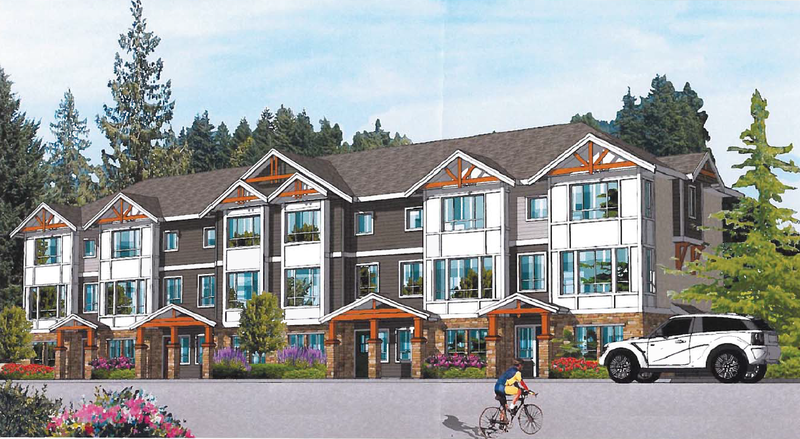 Rendering of proposed townhouse development at 19753 55A Avenue. Select image to enlarge. As I posted about early this month, the City must amend its financial plan to accommodate new projects and account for funding received from other orders of government over the course of the year. Council gave the amendment final reading on Monday. Council also gave final reading, approving our 2018 permissive tax exemptions. You can read about which organizations will received a permissive tax exemption in a previous post. Council gave final reading to discharge legacy land use contracts for 5040 205A Street and 20215 44A Avenue. This is a housekeeping matter. It is less than a year until the next municipal election. As such, City council approved the appointment of the Chief Election Officer and Deputy Chief Election Officer for the 2018 election.